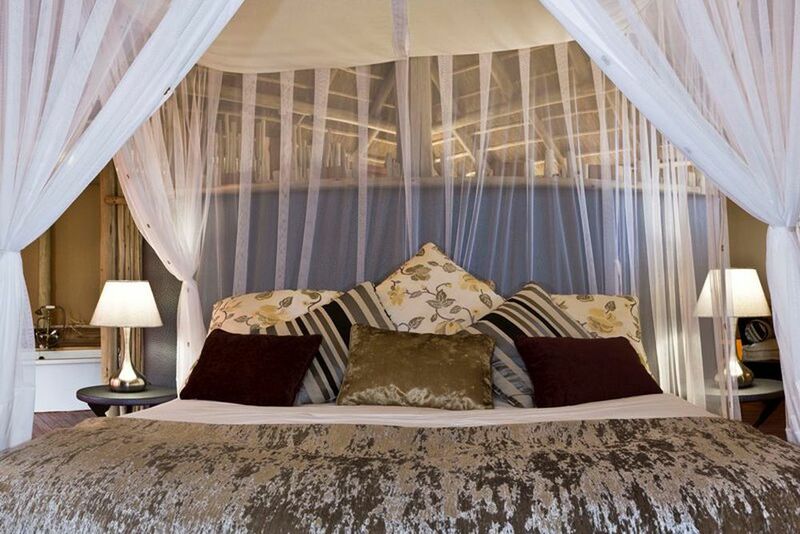 Experience pure Etosha in the eco-friendly Onkoshi Camp! 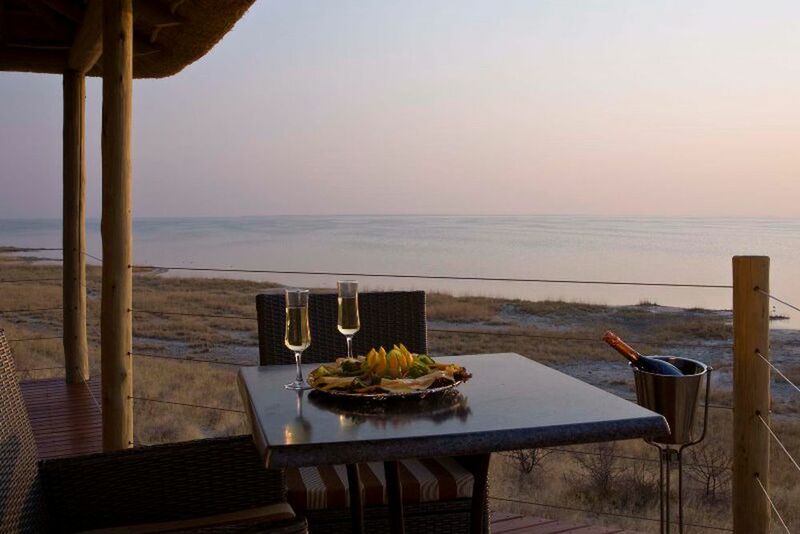 Spend unforgettable days at the shore of the huge Etosha Pan in the Onkoshi Camp! 15 Chalets made of natural materials over a wooden walkway. Every Chalet is furnished with explicit detail and provides an atmosphere of relaxation and comfort. Exclusivity guaranteed! You will feel at home in the comfortable Chalets! The perfect way to end an adventurous day! The wonderful sunset over the magnificent Etosha Pan is a dream in itself! 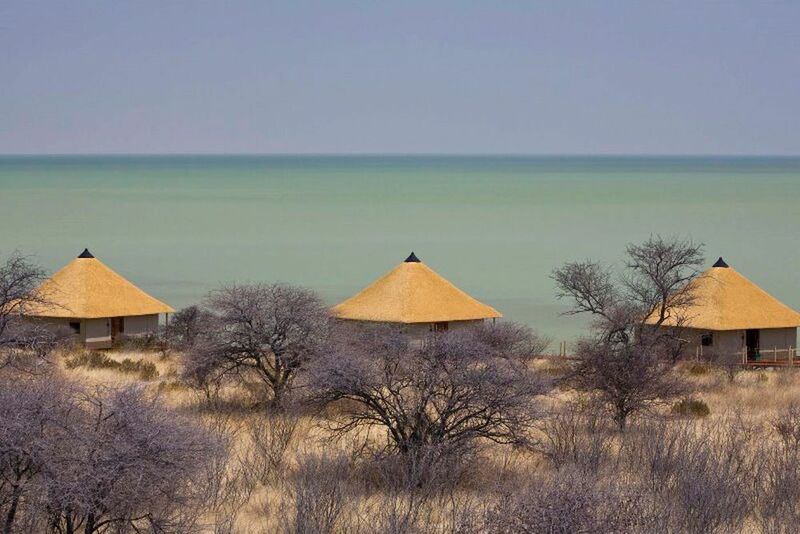 Onkoshi Camp sits right on the border of the Etosha National Park’s salt flat. 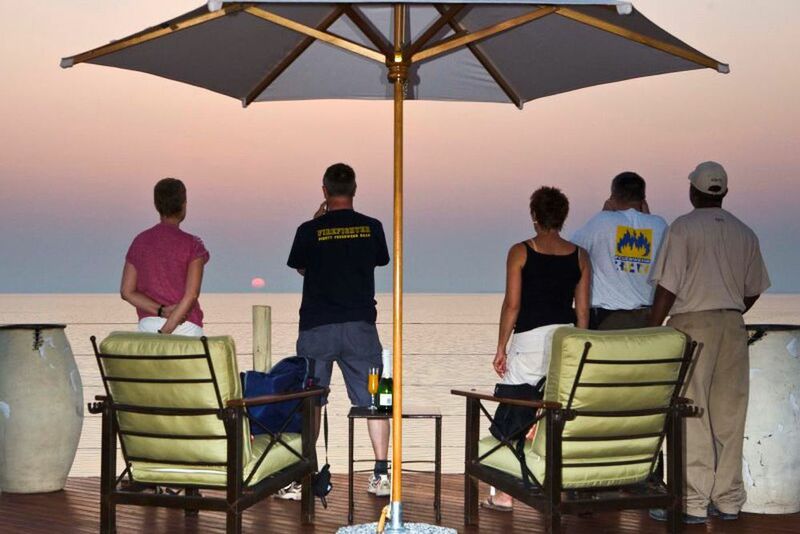 Views from the lodge reach far into the horizon, providing unforgettable sunrises and sunsets. Come discover an array of unique wildlife combined with a luxury camp in the middle of the surrounding nature. 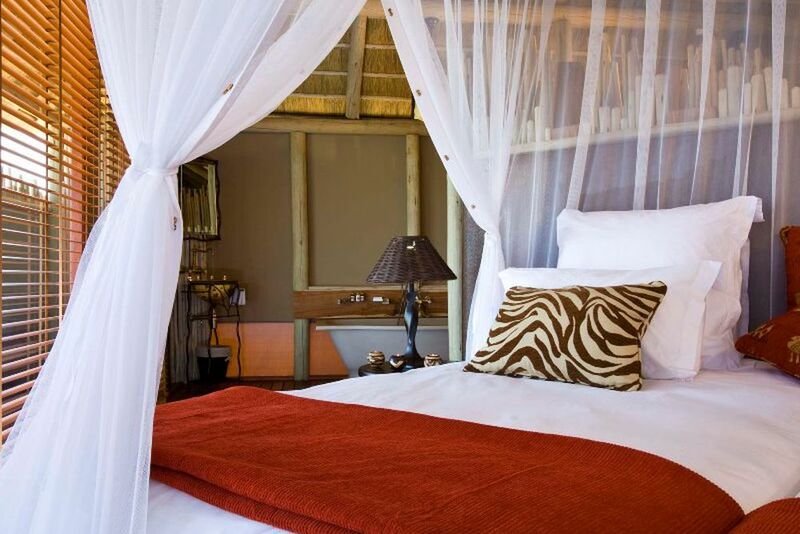 Located on the eastern side of the 5000 km² Etosha Pan in the famous Etosha National Park, is the exclusive Onkoshi Camp! Away from the usual tourist routes, experience the ideal starting point to see Africa’s magnificent animal world. During and after the rainy season, the flat is filled with water and attracts many unique animals, such as pelicans, flamingos, giraffes, zebras and lions! The eco-friendly Onkoshi Camp was built on wooden platforms and is perfectly integrated into its surroundings. According to the ecological concept, the camp uses solar energy for electricity, hot water and light. The eco-friendly Onkoshi Camp has a restaurant, bar and souvenir shop. At the outdoor pool, relax after an exciting safari under the warm Namibia sun whilst enjoying views over the salt flat. Children 6 years and older are welcome at the Onkoshi Camp. 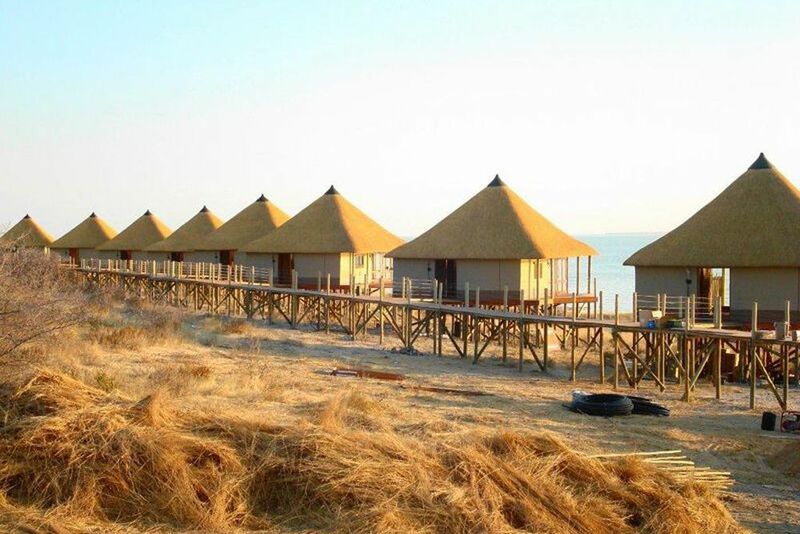 All 15 chalets are located on the banks of the Etosha Basin and are made of natural materials. Straw roofs protect against the sun and rain, and the walls of the chalets are made of canvas. 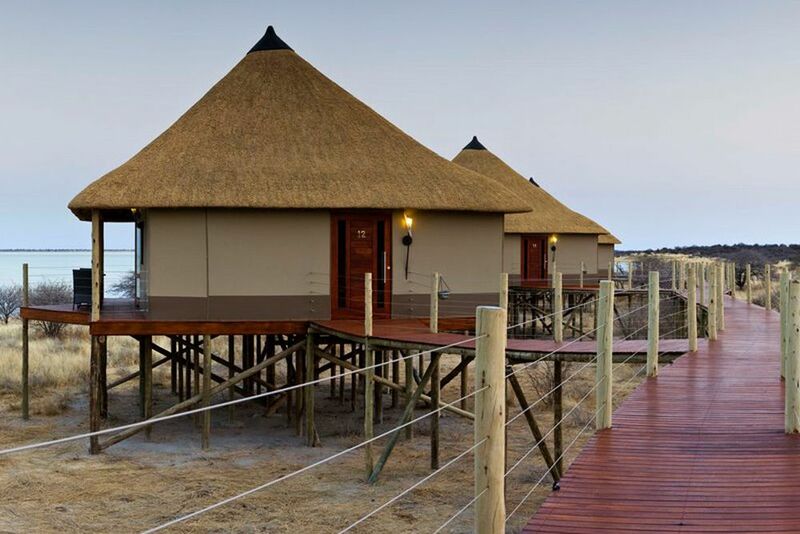 The entire lodge is built on wooden decks and face the Etosha Pan. Stylishly furnished with local furniture, all the chalets feature panoramic windows, a private bathroom with an indoor and outdoor shower, a safe, a mosquito net, tea/coffee making facilities and a terrace. 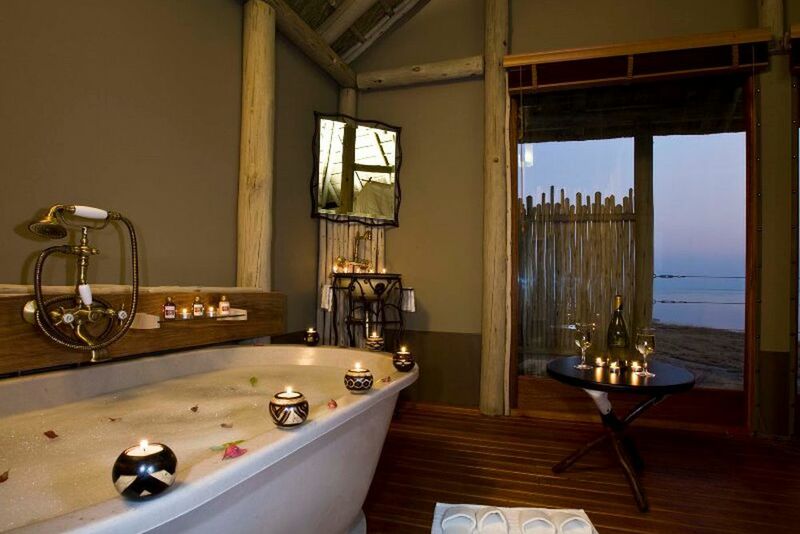 An absolute highlight is the stone bath boasts views of the vast salt pan. Chalets (14)—These chalets have two single beds and a sofa bed. For a maximum of 2 adults and 1 child 6 years or older. Honeymoon Chalet (1)—These chalets have a king-size bed. For a maximum of 2 adults.